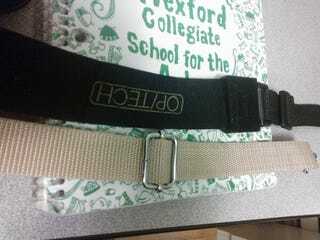 Which strap do I use? The black one is padded foam, probably from the early 90's, has a quick attach system. The canvas one is canvas, not padded, and uses those funky metal clips that I don't really trust.